Have you ever wondered how Breckenridge got its start? With bragging rights as one of the largest and most famous gold mines in Breckenridge, the Country Boy Mine is a great place to find out! Take an underground tour 1,000 feet into the mine. Hear stories of how Colorado miners found gold, what equipment they used, and how they worked from day to day. 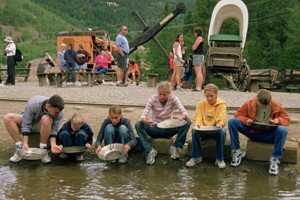 Try to strike it rich by participating in an afternoon of gold panning. Take a walk on the wild side and slide down the 55-foot ore chute. While at the Country Boy Mine you will have access to all these activities and more! This makes for a fun-filled day for any age. Tours are currently offered Monday through Sunday at 10 a.m., 11 a.m., 12 p.m., 1 p.m., 2 p.m., 3 p.m. and 4 pm. and are approximately 45 minutes long. Be sure to stop by your Activities Desk to check on availability, get a discount, and make your reservations! 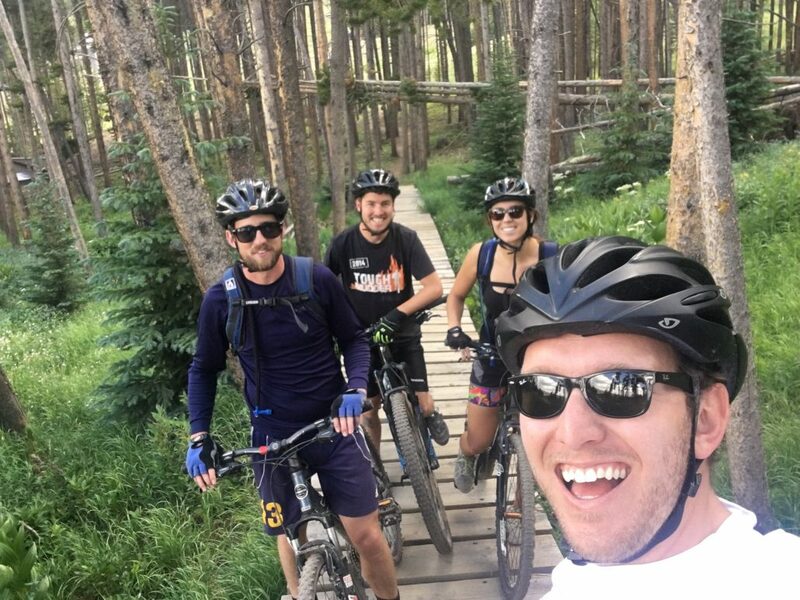 Breckenridge is known for its world class biking and trails of all levels. It is the perfect spot to take your very first ride or to test out your technical skills. You also have the option of heading out on your own with a bike rental or participating in a mountain bike tour. If you aren’t sure of the trails and would like some assistance getting around, we recommend booking a mountain bike tour. These will be tailored to your skill level and will help make sure you are on trails that are appropriate for you. It is best for all riders on a tour to have around the same skill level. 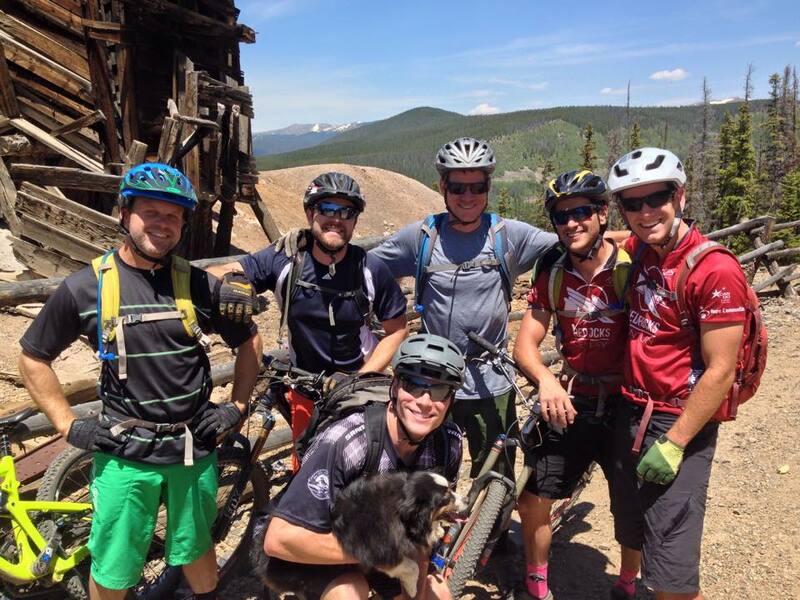 Breck Bike Guides offers tours for an initial $35 and an extra $10 per person, with a maximum of five riders. You will be shown a great time with this company. Bike rentals are not included in this price, so either bring your own or rent from them. Call 970-393-9000 to set up your tour. Either option will provide great memories and a new adventure! 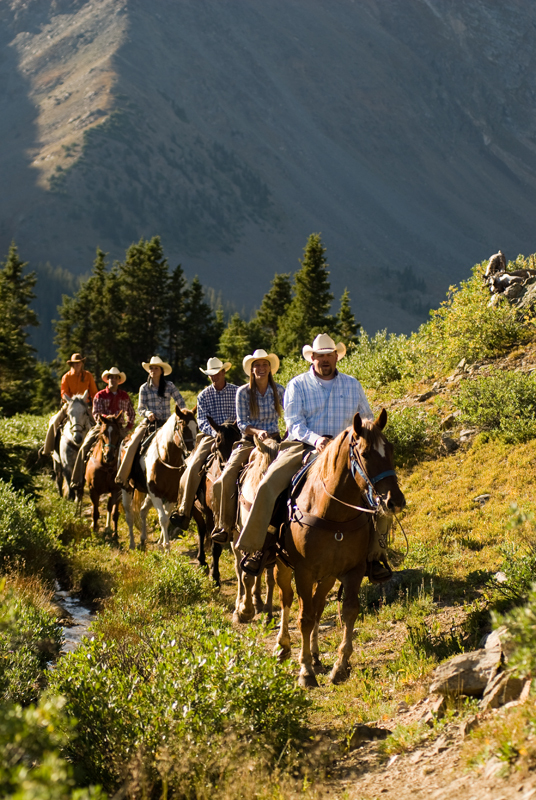 Horseback riding is a wonderful activity for the family and a great way to see the beautiful Colorado countryside! We partner with three vendors for horseback riding. Each of these options is a very different experience. The first and most convenient option is Breckenridge Stables. They are located right on Peak 9, which is just a short 10-minute drive from the Grand Timber Lodge. They will take all ages and they can get you in last minute at just about anytime throughout the day. The 90-minute ride will take you right up the ski area and cover some fun facts about the Breckenridge area. This is a walking ride only, which means the horses stay pretty close together and there is little to no deviation from the trail. This is a great option for beginners, families, or anyone who may be feeling a little nervous. These horses are bomb-proof and the wranglers really know what they are doing! The second option is Platte Ranch, out in Fairplay. This one is probably my favorite option because if you catch it on a clear day, you can see seven different mountain ranges and it is spectacular. On this adventure, you can pick any path you would like to ride your horse on (within reason). You are not in single file, so you can have a fun time riding right alongside your friend or family member. The guide will take you up to a large open area and, if you want, you have the option to test out your cowboy skills and let your horse run. This is certainly the most exhilarating part of the ride and really makes you feel like you are part of the ranch! The third option we provide our guests is a four-hour cattle drive at the Rusty Spurr Ranch. This is going to be the most physical ride of the three, as you are on the horse for a long period of time. They will accept riders of all ability levels, from beginners to advanced. This is truly a western tradition and being a part of it is a memorable experience. One of the best parts about it is you will have a homemade meal waiting for you upon your return! Any option that you choose will be sure to be a wonderful time. Horses are beautiful, gentle, kind animals that really enjoy giving people a ride around the countryside. So, if you are up for a western adventure on your next trip to Summit County, be sure to get in touch with one of our Activity departments today to book this trip for you! Looking to spend a little time on the water while on vacation? Plan an adventure out on the lake during your next visit to Breckenridge. From SUP rentals to boat rentals, there are a variety of activities that should the whole family entertained. Ziplining is now open! Take a short drive to Leadville for an experience soaring through the mountains in this two-hour zipline tour! 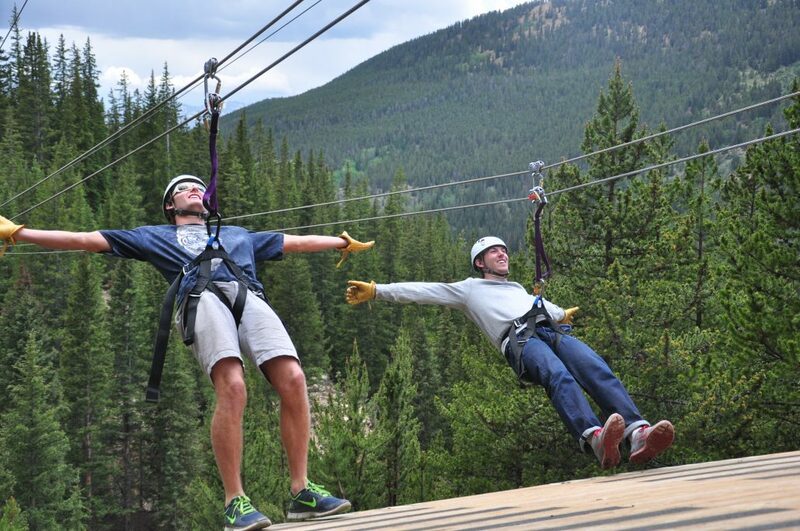 You will cover about 8,000 feet of ziplines through the Rocky Mountains, and get amazing views of Mt. Elbert and Mt. Massive. The educated guides will tell you the mining history of Leadville, and you could see some Colorado wildlife. Ziplining is great for people of all ages, and includes easy decks for take-off and landing. The last zipline, the Big Nugget, is a 100-foot sky tower where you are sure to have some thrills! If you are looking for a full day adventure you can combine the zipline with a raft tour or train tour! With the Leadville train, you ride to the top on this historical and scenic route, gaining about 1,000 feet in elevation. Inside a cozy yurt a delicious lunch will be waiting for you, which you can enjoy before ziplining to the base of the mountain. If you are looking for an adrenaline-filled day, then try the rafting and ziplining combo! With this combo, you will zipline at Top of the Rockies, and then join your rafting guide to experience the white waters of the Arkansas River in the beautiful Brown’s Canyon National Monument. Ziplining is a great way to see a multitude of views, while experiencing an adrenaline rush like no other! 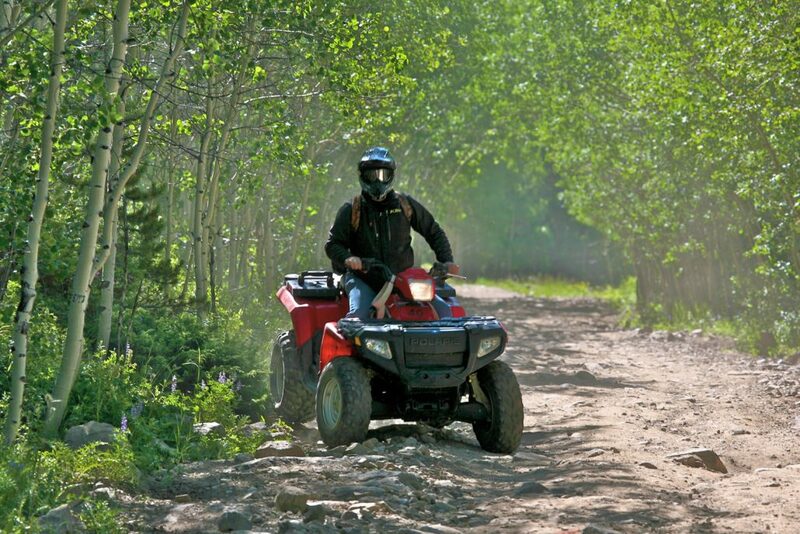 Located in the Vail area, and boasting 55,000 acres of their own terrain, Nova Guides is the mountains’ premier operator for ATVs in the summer and snowmobiles in the winter. With a 6,000-square-foot lodge and grill on site, as well as archery, fishing, and paintball, a trip to Nova Guides is sure to keep you smiling. Offering guided and unguided ATV and side-by-side tours as well as jeep tours, they have plenty of options for the experienced rider and the first timer alike. And because your destination is their land, located on the old WW2 training ground of Camp Hale, you will get a taste of history, the comfort of knowing you are on maintained trails, and the best guides in the business. Over their 33 years of operating, Nova Guides has acquired special permits that allow them to operate in the White River National Forest, giving them access to some of the most scenic spots in the area. Ranging from waterfalls and meadows or the top of the Continental Divide at 12,500 feet, the views are sure to take your breath away. Start your adventure today by contacting your Activities Desk!